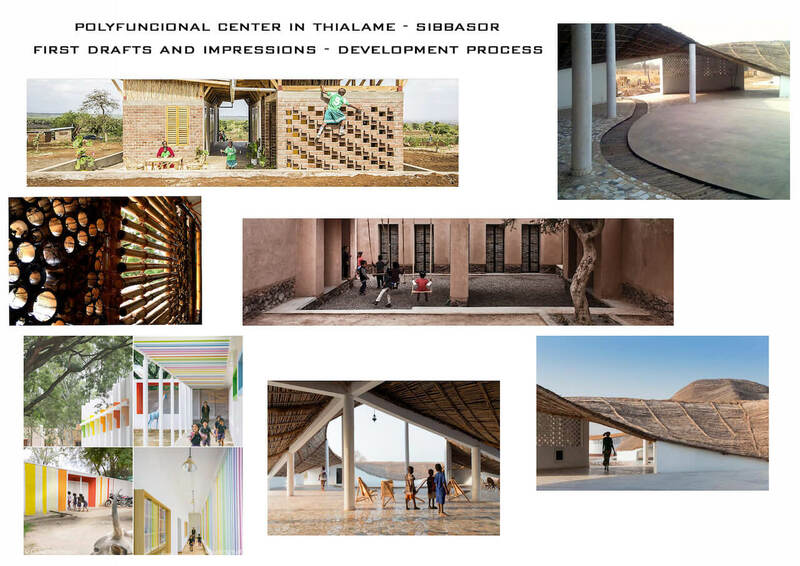 The community of Thialame, together with the Italian architect and anthropologist Elettra Griesi and the Senegalese artist Elhadj Mamadou Lamine Faye (“Diappal Gaayi – Building Community Roots.Sen”), in cooperation with the German Ngo “Borderline-Europe” and the local Senegalese NGO “ADISS” (Thialame) plans to build a multifunctional ecological complex (as a pilot project), which should represent a first building block as a solid foundation for a sustainable future development. The team is supported by local and foreign architects, civil engineers, geologists as well as students from the architecture faculty of the “University of Kassel” (Germany) and the technical gymnasium “Lycée Technique d ‘Industry Maurice Delafosse”. Furthermore, diverse co-operations with educational institutions such as faculty for civil engineering and applied energy of the University of “Cheikh Anta Diop de Dakar” and the vocational college “Centre Sectoriel de Formation Professionelle aux métiers du Batiment et des Travaux Publics” (Dakar) are taking place. 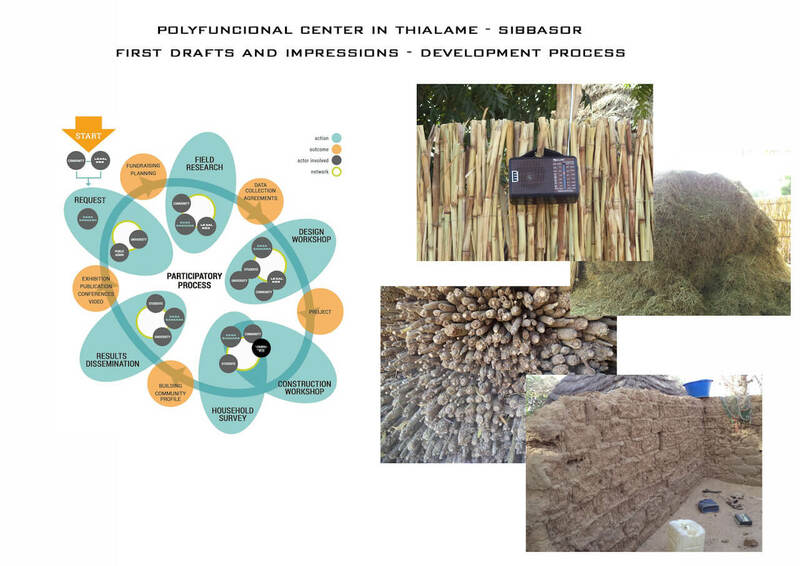 In line with the philosophy and objectives of the Eco-Villages, the construction facility aims to improve economic conditions, harmonious communal relations, preservation of local traditions and promotion of ecological building processes. 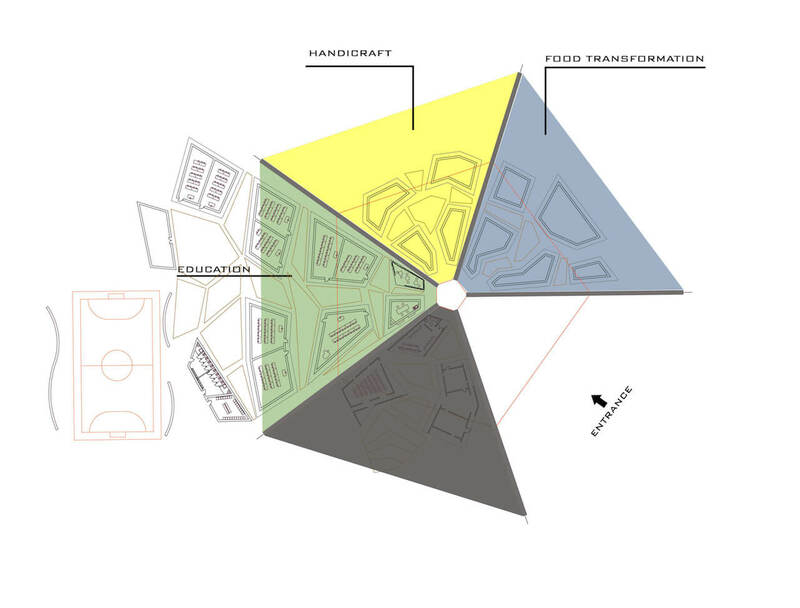 In order to make this vision become real, to encourage young people to work on the development of their own land and to reach optimally the economic targets, the complex will be composed of three main areas: an area for education, an area for work and an area for the meetings of the community. These parts should be understood as an inseparable unity. If the long-term goal of the building consists in the strengthening the local economy, this can only be achieved by creating employment opportunities. For this reason, the construction of workrooms is essential, particularly for young people and women. 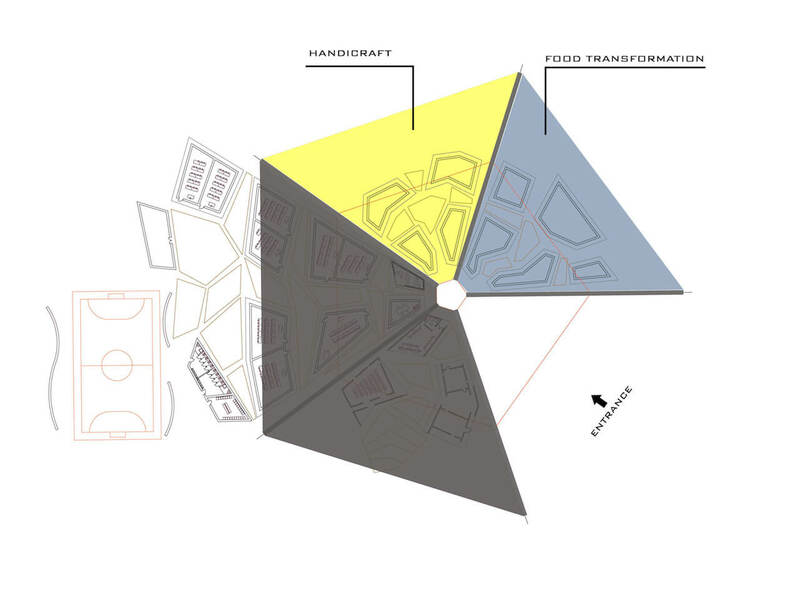 With the purpose of strengthen the local economy and preserve traditional everyday practices, it’s important to provide workspaces where agricultural (ecologically and collectively produced) products from the surrounding fields can be processed in a traditional way and transformed into bread, food and beverages. These can later be used for own needs or sold on the local market. Likewise, these spaces should serve also for the resuming of traditional activities – such as tailoring, production of traditional musical instruments and other local handicrafts – whose manufacturing techniques have almost disappeared. 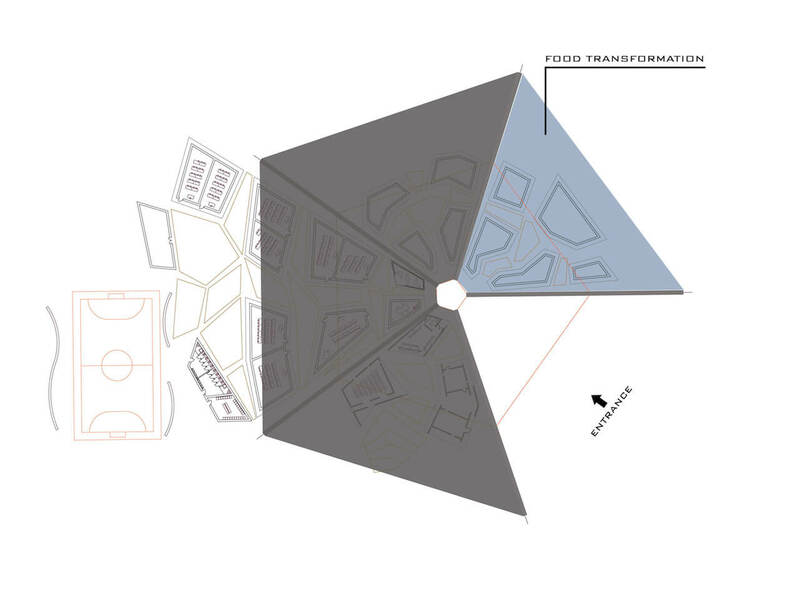 Nevertheless, the creation of workrooms alone is insufficient to achieve all the objectives of the project. In order to ensure successful access to the work market, it is fundamental to create educational opportunities for children and adolescents. These can only be achieved through education and socio-economic inclusion. For this reason, we planned spaces for a basic and a secondary school as well as classes for advanced trainings, where the first knowledge can be apprehended by the youngest members of the community and developed in a second moment in a vocational training for agricultural, food transformation as well as handicraft works. 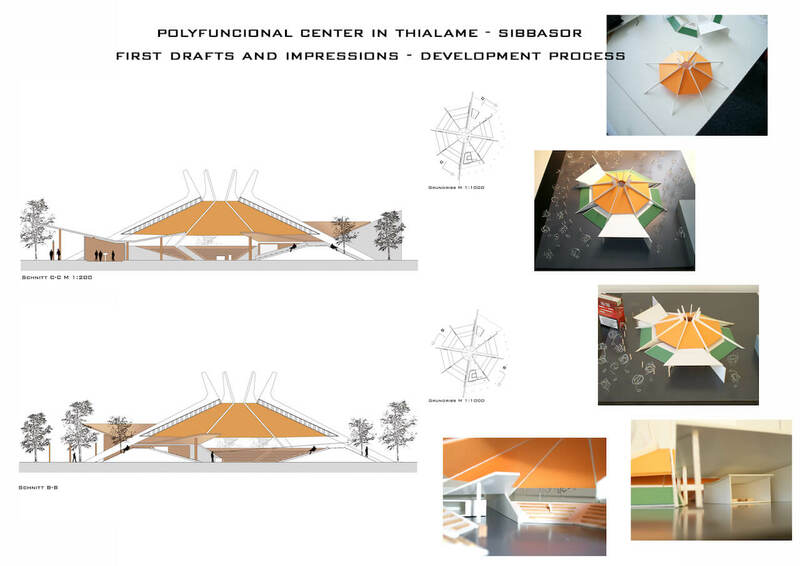 A third component, indispensable for the success of the project, consists in establishing spaces for the reunion and for the raising of awareness of the community. For this reason, we planned the construction of a meeting room where the community can strengthen social cohesion, promote a collective identity and a harmonious cohesion between its members. This space is intended to serve to discuss possible conflicts, work or economic concerns, organize events, as well as to develop market strategies. 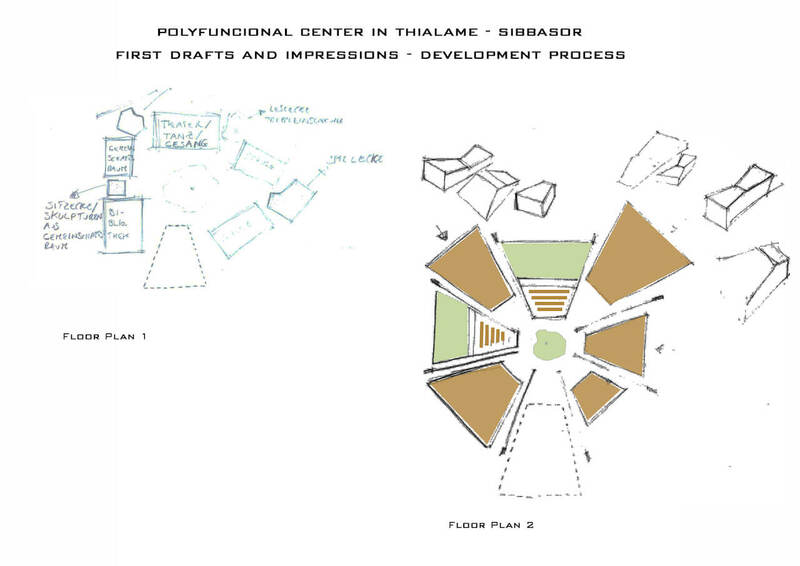 Moreover, there will be a space for film screenings and a small open-air theatre, which will play a central role in order to inform and raise awareness on the importance of education for the access to the work market as well as on the consequences of emigration on the life of the individuals and of the collectivity. This third set of functions belongs to the public sphere, and should function as a joined space for the entire community. In order to ensure the long-term sustainability of the project, a number of co-operations with international NGOs are planned. After completion of the construction´s work, diverse partnerships will be started – Among them, with the German NGO “Borderline-Europe”, the local Senegalese NGO “ADISS” as well as with the Italian eco-community “Damanhur” and the Senegalese network for eco-villages “REDES” (Le Réseau pour l’Emergence et le Développement des Ecovillages au Sahel) Within this framework, there will be scheduled meetings and open debates to promote the territorial common growth. Additionally, there will be held awareness-raising courses about migration to Europe along with courses about organic agricultural development techniques and handicraft production. 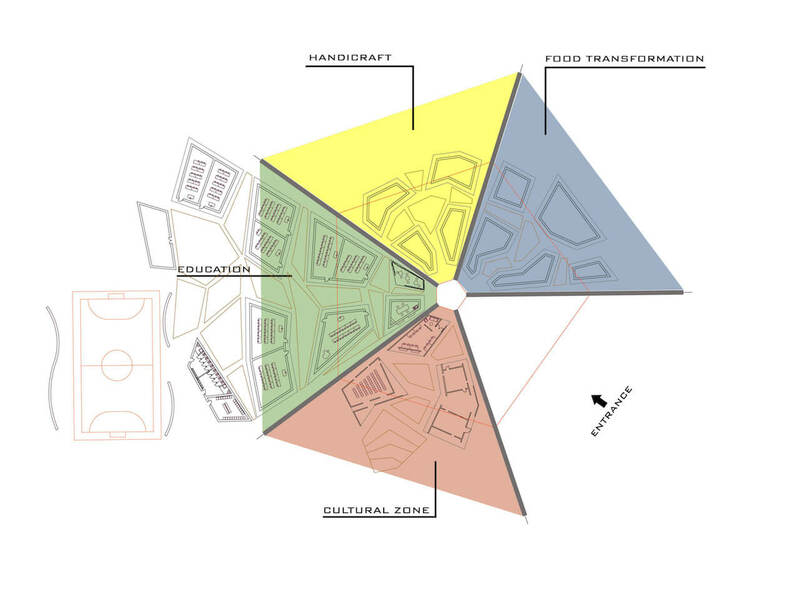 Furthermore, the building complex is designed to become a reference point for the numerous surrounding villages, whose inhabitants will actively participate to its construction.